Your social media metrics should help you determine the performance of your social media campaigns and the ROI from them. The only way to ensure this (or even just get started), however, is by tracking the right social media KPIs -- beyond your fan, follower, or "like" counts. That being said, there are four main areas your social media KPIs should be focusing on. Social media is a valuable tool for building personal relationships with your audience, but it can also be a very helpful factor in increasing your revenue, reach, and overall ROI. 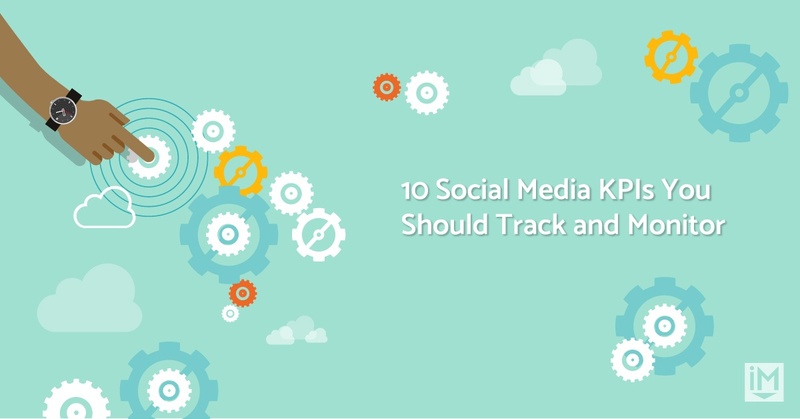 The only way to ensure this (or even just get started), however, is by tracking the right social media KPIs -- beyond your fan, follower, or "like" counts. They need to be circled around generating new traffic to your site, increasing lead generation, and expanding your brand. Everything else is really just a vanity metric. Engagement is, hands down, the #1 area that you should be concerned with on social media. It is the catalyst for improvement in all of the other social media KPIs we'll discuss. Plus, on platforms like Facebook and Twitter, engagement plays a major role in how many people actually even ever see your update (aka your reach -- see focus area #2). Facebook and Twitter see engagement as a sign of quality and popularity. The more interactions your content receives, the more newsfeeds Facebook will filter it out to. Similarly, the more retweets or likes a tweet gets, the larger it will appear (in font size) on your Twitter profile. Link clicks are reflective of the quality of the title and image included on your post. Of course, your raving fans will click on everything you share, but the majority of people (especially new people) are only going to click on posts that interest them. The point of being on social media is to be -- well, social. Tags or mentions show that people are having a conversation about your brand even when you're not even in the room. This is another social media KPI that really focuses on your relevance because it shows that you are maintaining top-of-mind awareness. Not all social media platforms will provide this metric, but if it's there, it's worth your attention. Many social media websites are used as search engines for brand research today. There will be plenty of people that follow you, but they may never visit your profile. The people that are just starting to scope out your business, however, will definitely visit your profile. This KPI isn't as important as the others, as you can't really measure intent to buy, but profile visits do indicate interest in your brand beyond your latest post. An active follower is considered to be someone who has logged in and interacted with your content within the past 30 days; unfortunately, for most brands, the majority of people who "like" or follower your page are unlikely to visit it regularly let along check out its content. Doing this on most networks may be a challenge, but thanks to tools like MangeFlitter, it's alot easier on Twitter. ManageFlitter is a handy free tool for identifying any individuals that are inactive or are fake. It takes seconds to sign-up and you will be removing any irrelevant followers in no time. The total number of people following your brand on social media indicate your reach without any engagement. This is the total amount of people that could see your post and have actively said they want to. Impressions show how many times your post showed up in someone's newsfeed or timeline, either because they are already following you or because someone they know has liked or shared your content. This doesn't mean that for every impression someone actually looked at your post or even noticed it -- this just means that they had a chance to. Though vague, a higher number is always better. This is a huge one. What percentage of the traffic to your website is coming from social media? If you're investing a good amount of time and effort into your social media content, you'll want to make sure that this number reflects that. Once your social media accounts start gaining traction, it's easy to get caught up in how many likes and shares you're getting. It feels good to see people enjoying your content, but what about the bottomline? You might have an enormous following on Instagram because people love your photos, but how does that translate to new sales? To put it another way, say you have a small following on LinkedIn, but it consistently generates new leads. Which one deserves more attention? You can't answer that question if you aren't measuring lead generation from social media. Remember, while these are all smart choices, you should only focus on the social media KPIs that are most relevant to the platforms your brand is active on and that have the most relevance to your audience's behavior. Every audience is different. If your ideal buyer isn't inclined to hitting "like," but is still closing, don't beat yourself up about it. Track what makes sense and actually reflects success.